SIBLINGS: Five brothers and five sisters. Asu Dev was the third son of Umesh Chandra Deb. Umesh Chandra Deb, was a research scholar on Srimanta Sankaradeva, the great saint of Assam. A biography on Sankaradeva was written by Umesh Chandra Deb in the Bangla script was first published in the Bengali Year 1327 (1920) by the author. EDUCATION: Certificate course in Design and Crafts from Kala Bhavana, Visvabharati Santiniketan India and Certificate course in Rabindra sangeet from Sangeet Bhavana, Visvabharati Santiniketan India. She retired as Junior Instructor in Textile Design and Crafts at the Assam Textile Institute, Guwahati Assam India. She expired on 01 MAY 1994. EDUCATION: 1989 Bachelors degree in Fine Arts (Applied Art) from Faculty of Fine Arts, Maharaja Sayajirao University of Baroda, Gujarat,India. Works as an Art Teacher with Kendriya Vidyalaya Sangathan (An autonomous body under the Ministry of Human Resource and Development Government of India), presently in Kendriya Vidyalaya NFR Malgaon, Guwahati. 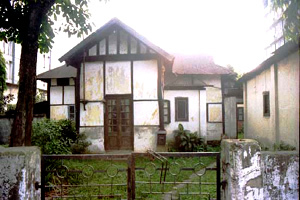 He resides at Guwahati with his wife and daughter. EDUCATION: 1991 Bachelors degree in Fine Arts (Painting) KalaBhavana,Visvabharati Santiniketan. 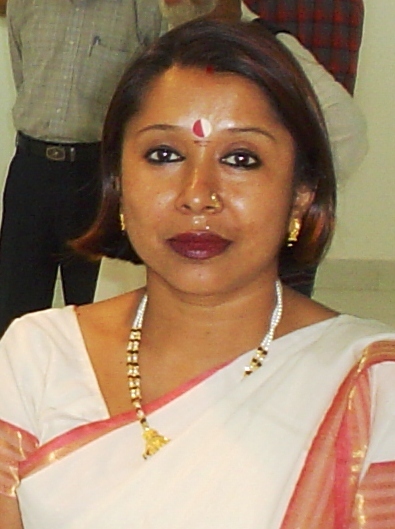 She presently works as an Art Teacher in Royal Global School, in Guwahati,Assam India. A student of F.Y. Bachelor of Fine Arts (Painting), Faculty of Fine Arts, Maharaja Sayajirao University of Baroda, Gujarat. Has a keen interest in Fine Arts, Music and ICT.